We like to think of this navy blue piece as the dark-wash skinny jean that your dog can throw on for instant versatility and class. 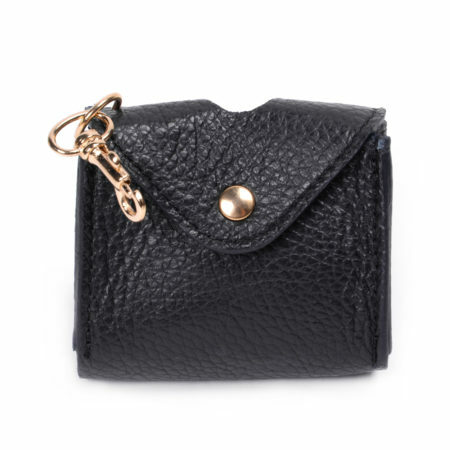 Hand-crafted in Italy from soft and supple leather, you can’t go wrong with a timeless shade of casual glam that’s sure to suit the both of you. Would you like to create an entirely bespoke product for your furriest of friends? Contact our team at customizations@supportthepack.com and we’ll work with you to craft a collar like no other. 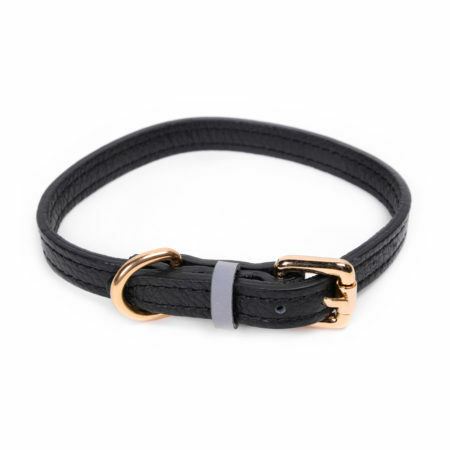 Expected Shipping 10/16/16 – 12/20/16 Calf leather Stitching 100% polyester thread Hardware in cast brass with protected gold finishing We like to think of this navy blue piece as the dark-wash skinny jean that your dog can throw on for instant versatility and class. Hand-crafted in Italy from soft and supple leather, you can’t go wrong with a timeless shade of casual glam that’s sure to suit the both of you. Would you like to create an entirely bespoke product for your furriest of friends? Contact our team at customizations@supportthepack.com and we'll work with you to craft a collar like no other. 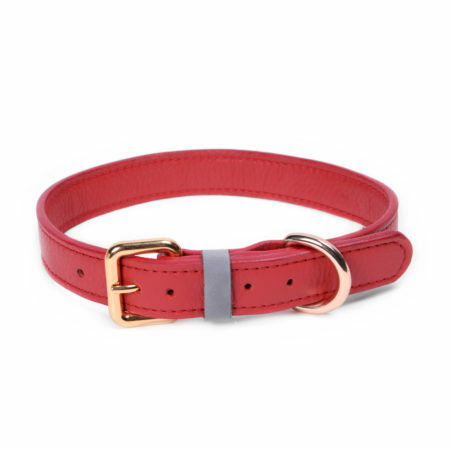 Expected Shipping 10/16/16 – 12/20/16 Calf leather Stitching 100% polyester thread Hardware in cast brass with protected gold finishing A classic navy accessory, hand-crafted in Italy from the highest quality soft and supple leather, is just the thing to bring out your pup’s baby blues (and yours too)! Take a walk together with nothing but this lovely leash between the two of you to celebrate all things timeless. Would you like to create an entirely bespoke product for your furriest of friends? Contact our team at customizations@supportthepack.com and we'll work with you to craft a leash like no other. 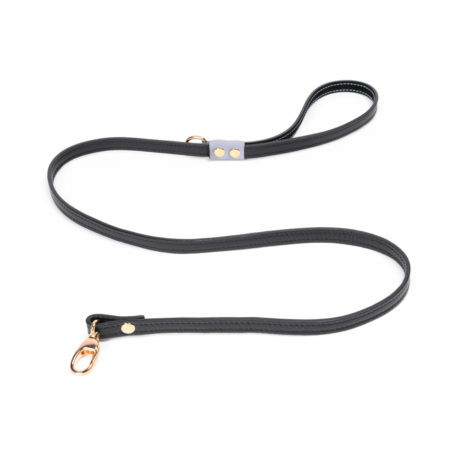 Calf leather Stitching 100% polyester thread Hardware in cast brass with protected gold finishing For the pet-parent pair that knows a leash is more than a line; it’s a symbol of a bond that exceeds words. 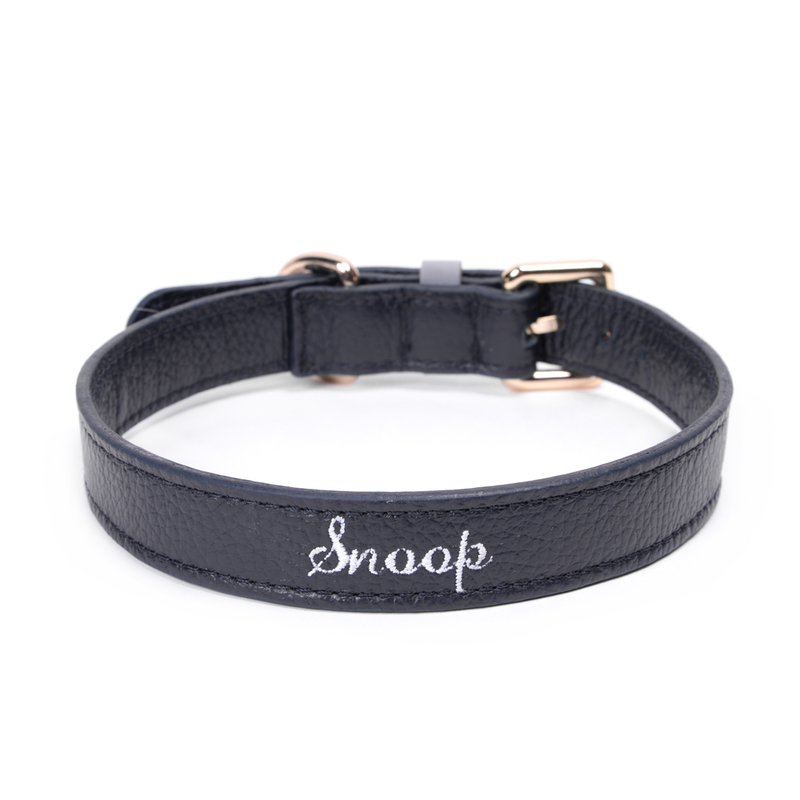 That’s why we’ve created this breathtakingly elegant classic black leash that’s as timeless as your puppy love. Hand-crafted in Italy from the finest quality soft and supple leather so you’re both exquisitely outfitted to face whatever comes your way—together. Would you like to create an entirely bespoke product for your furriest of friends? Contact our team at customizations@supportthepack.com and we'll work with you to craft a leash like no other. 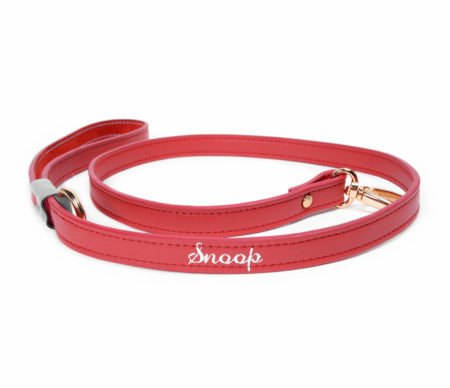 Expected Shipping 10/16/16 – 12/20/16 Calf leather Stitching 100% polyester thread Hardware in cast brass with protected gold finishing Venture outdoors in the statement scarlet leash that is sure to have everyone on the block drooling. That’s the beauty of our red pieces; not only are they hand-crafted in Italy from the finest leather, but they also give you yet another reason to spend time with your bestie. Would you like to create an entirely bespoke product for your furriest of friends? Contact our team at customizations@supportthepack.com and we'll work with you to craft a leash like no other.